With its domestic crude oil output stagnating and the demand for oil continuing to rise at an ever-increasing pace, India has an opportunity to use substitutes of fossil fuels for both, economic and environmental benefits. Ethanol is one such substitute that can be produced from sugarcane and used for transport by blending it with petrol/gasoline. Another option is biodiesel, which can be produced from the oil-bearing seeds of certain plants and blended with diesel. In the West, biodiesel is produced mostly from field crops like rapeseed and sun flower in Europe and soyabean in the US. Malaysia utilises palm oil while Nicaragua uses Jatropha curcas (The Physic Nut) for bio diesel production. 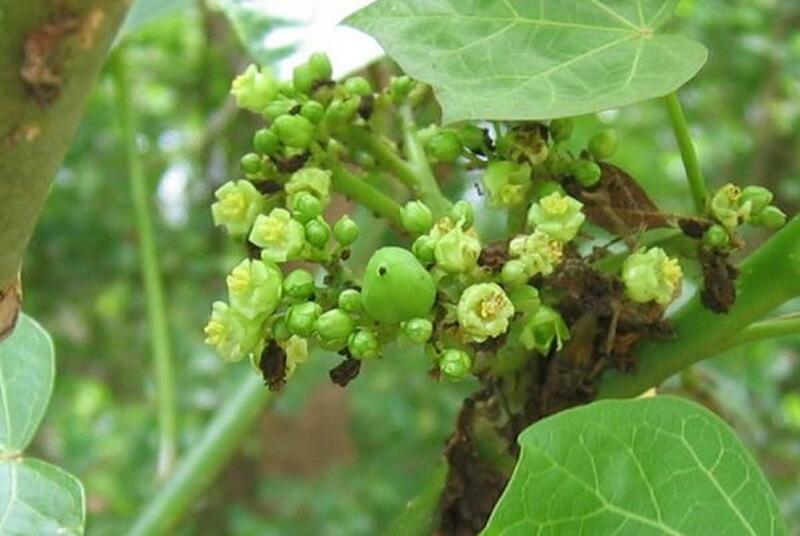 In India, there is a vast potential for the production of biodiesel from Jatropha curcas (called Jangli arandi in Hindi and Kattukkotai in Tamil) and Pongamia pinnata (The Indian Beech called Karanj in Hindi and Pungai in Tamil) as they occur in plenty in forests and wastelands. In December 2009, the Union government launched the National Biodiesel Mission (NBM) identifying Jatropha as the most suitable tree-borne oilseed for biodiesel production to help achieve a proposed biodiesel blend of 20 per cent with conventional diesel by 2017. Biodiesel procurement started in 2014 and a pilot programme was started in August 2015. It has been extended to six states. However, due to an acute shortage of Jatropha seeds, the government’s ambitious plan did not materialise. Moreover, several existing biodiesel plants shifted operations to adopt multiple feedstock technology. For instance, they use used cooking oils, animal fats and imported crude vegetable oils to produce biodiesel while private producers are encouraged to sell more biodiesel directly to end-users provided they meet the prescribe Bureau of Indian Standards (BIS) norms. According to the Union Ministry of Petroleum and Natural Gas (MoP&NG), as on July 1, 2016, 1.32 crore litres of biodiesel has been procured by public sector Oil Manufacturing Companies (OMCs). The biodiesel production from multiple feedstocks reported during the years 2014, 2015 and 2016 was 130,135 and 140 million litres respectively, and was estimated to go upwards of 150 million litres in 2017. It would add another 10 million litres through 2018. Availability of Jatropha seeds remains a major problem in increasing the production of biodiesel in India. Much has been done to initiate large-scale cultivation, increasing Jatropha yield and switching to substitutes. However, much of this has not yielded successful results. Several corporations, petroleum companies and private companies have entered into Memoranda of Understanding with state governments to establish and promote Jatropha plantations on government-owned wastelands or through contract farming with small and medium farmers. However, due to constraints like very poor Jatropha seed yield, limited availability of wasteland and high plantation and maintenance costs, biodiesel projects became unviable. Trial results with High Yielding Varieties (HYVs) of Jatropha for production of biodiesel have not been satisfactory. Consequently, because of limited availability of biodiesel and the volatile nature of its prices, the speed of blending had suffered a setback. It is reported that Jatropha occupies only around 0.5 million hectares of low-quality wastelands across the country, of which 65-70 per cent are new plantations of less than three years. Further, a major obstacle in implementing the biodiesel programme has been the difficulty in initiating large-scale cultivation of Jatropha. The higher gestation period of biodiesel crops (3–5 years for Jatropha) results in a longer payback period and creates additional problems for farmers where state support is not readily available. An ICAR study also points out that the Jatropha-based biodiesel production programme is bogged down with several obstacles like slow progress in planting, sub-optimal processing and marketing infrastructure and under-developed distribution channels. In the last few years, a few stakeholders from public and private sector units have also been engaged in identifying other tree-borne oil seeds as alternatives to jatropha for biodiesel production. However, the sustainability of these is still to be validated. While favourable government policies as well as the vigorous participation of local communities and private entrepreneurs can sustain the programme in the short term, it is equally important to have a sound long-term strategy at our disposal. The current course is not likely to be adequate in the long-term, given the present choice of feedstocks, status of technology and available policy. A substantial research thrust on the development of second and third generation feedstocks is crucial to address the future bio energy needs of the country. According to the OECD-FAO Agriculture Outlook 2018-27, the demand for bio-fuels is shifting towards developing countries, which are increasingly putting in place policies that favour a domestic bio-fuels market. Just like ethanol, demand for biodiesel is also expected to decline in the US and EU, which will drive down demand for vegetable oil as feedstock. Brazil, Argentina, Indonesia and other developing countries, riding on favourable policies, will see a growth in demand for biodiesel. Looking at the potential of biodiesel production in India, there is an urgent need to undertake research by public sector OMCs to achieve higher yield of feedstock, developing short duration crops and jatropha cultivation through planned varietal improvement programmes, particularly in a few selected areas of the country to establish its viability. Finally, the principal changes in policy required are a multi-feed feedstock approach, an attractive incentive mechanism, both at the feedstock stage as well as biodiesel production stage, and research & development for increasing the yield from feedstock.